To commemorate the 45th anniversary of the Apollo 11 moon landing, 2015 An Astronomical Year is now available as a free download between July 20th and July 24th. 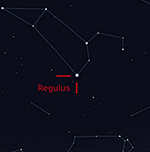 This comprehensive, quick reference guide provides nearly 300 pages of night sky events for 2015, including many that are easily visible with just the naked eye. Long before the term “citizen science” was coined, the field of astronomy has benefited from countless men and women who study the sky in their spare time. These amateur astronomers devote hours exploring the cosmos through a variety of telescopes that they acquire, maintain, and improve on their own. Some of these amateur astronomers specialize in capturing what is seen through their telescopes in images and are astrophotographers. What happens when the work of amateur astronomers and astrophotographers is combined with the data from some of the world’s most sophisticated space telescopes? Collaborations between professional and amateur astronomers reveal the possibilities and are intended to raise interest and awareness among the community of the wealth of data publicly available in NASA’s various mission archives. This effort is particularly appropriate for this month because April marks Global Astronomy Month, the world’s largest global celebration of astronomy. The images in this quartet of galaxies represent a sample of composites created with X-ray data from NASA’s Chandra X-ray Observatory, infrared data from the Spitzer Space Telescope, and optical data collected by an amateur astronomer. 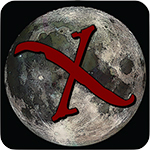 A team of scientists working with the CosmoQuest virtual research facility (CosmoQuest.org) has demonstrated that it is possible for everyday people to map the Moon with the same quality as a group of experienced professionals. These crowd-sourced results are being published in the journal Icarus and highlight the ability of citizen scientists to advance planetary research. CosmoQuest is a second-generation citizen science site run out of Southern Illinois University Edwardsville (SIUE) by Dr Pamela L. Gay. While “crowdsourcing science” may sound like they are handing out lab sets and white coats, CosmoQuest has actually done something much more impactful. They handed over the moon. CosmoQuest’s MoonMappers research portal invites the public to learn about the lunar surface and aid professional researchers in mapping craters and other features on the Moon. MoonMappers is led by researchers Stuart Robbins (University of Colorado – Boulder) and Irene Antonenko (the Planetary Institute of Toronto). CosmoQuest community members are the first citizen scientists to demonstrate volunteers’ ability to accurately identify planetary surface features. 365 Days of Astronomy will continue its service in 2014! This time we will have more days available for new audio. Have something to share? We’re looking for content from 10 minutes long up to an hour! Since 2009, 365 Days of Astronomy has brought a new podcast every day to astronomy lovers around the world to celebrate the International Year of Astronomy. Fortunately, the project has continued until now and we will keep going for another year in 2014. This means we will continue to serve you for a 6th year. Through these years, 365 Days Of Astronomy has been delivering daily podcasts discussing various topics in the constantly changing realm of astronomy. These include history of astronomy, the latest news, observing tips and topics on how the fundamental knowledge in astronomy has changed our paradigms of the world. We’ve also asked people to talk about the things that inspired them, and to even share their own stories, both of life doing astronomy and science fiction that got them imagining a more scientific future. 365 Days of Astronomy is a community podcast that relies on a network of dedicated podcasters across the globe who are willing to share their knowledge and experiences in astronomy with the world and it will continue that way. 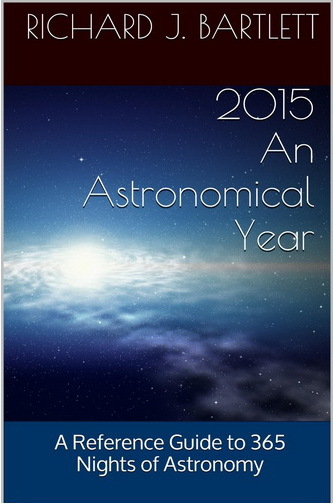 In 2013, 365 Days of Astronomy started a new initiative with CosmoQuest. We now offer great new audio every weekend, while on weekdays we serve up interesting podcasts from CosmoQuest and other dedicated partners. We also have several monthly podcasts from dedicated podcasters and have started two new series: Space Stories and Space Scoop. The former is a series of science fiction tales, and the latter is an astronomy news segment for children.